Watermelon’s glare at the camera is deceiving of her loveable personality. Sometimes shelters have too many cats and need more room, so their prices go down, but their lovable pals only become more adorable. Homeward Animal Shelter is hosting the “Game of Homes” because “kitten season is coming.” Now until March 31, these two gals and any cats (6 months and older) are only $50. Go get yourself a cat, or two, or three. PHOTOS BY HOMEWARD ANIMAL SHELTER | PHOTO COURTESY Castle’s half beard that leaves her with no chin will have you smiling all day. 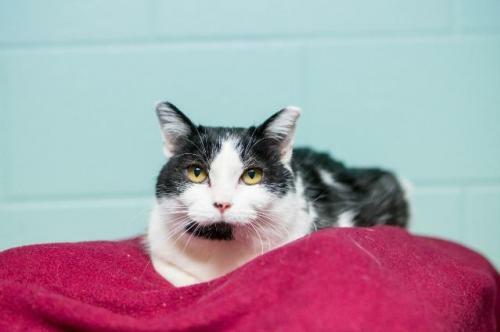 Meet Castle, a 5-year-old, white and black domestic short-haired female. She arrived at Homeward Animal Shelter Dec. 26, 2018. Her purr-fect forever home consists of a long night in cuddling on the couch. She is a friendly cat that will have anyone fall in love with her. If you have other cats and are looking for some playmates, Castle is the gal for you because she loves everyone and every cat. 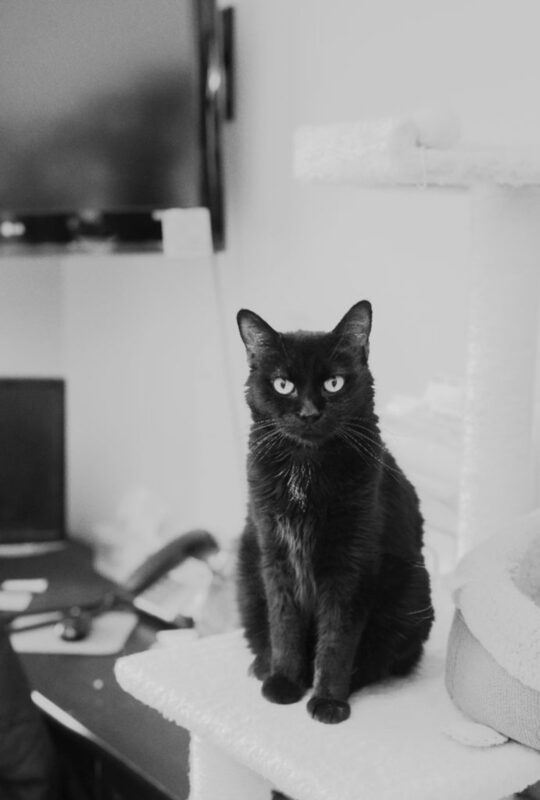 Meet Watermelon, a black Manx female who’s 11.5 years old. She arrived at Homeward Animal Shelter Jan. 17. Watermelon will do anything for a treat and especially likes to show off her skills by turning the sink on and playing in the water. She’s a little picky with her fellow cat friends because she only likes low-energy cats. Anyone that wants to play is not her style. Even though Watermelon is independent, she needs to have some cuddle time on your lap where she’ll loudly purr until she goes back to roaming around.